Unshielded Twisted Pair (UTP) cable is most certainly by far the most popular cable around the world. 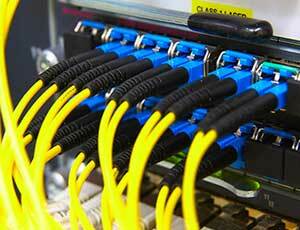 UTP cable is used not only for networking but also for the traditional telephone (UTP-Cat 1). There are seven different types of UTP categories and, depending on what you want to achieve, you would need the appropriate type of cable. UTP-CAT5e is the most popular UTP cable which came to replace the old coaxial cable that was not able to keep up with the constant growing need for faster and more reliable networks. This Comparison between CAT5, CAT5e, CAT6, CAT7 is In the context of the 100-ohm UTP (Unshielded Twisted Pair) type of cable used for Ethernet wiring. CATx is an abbreviation for the category number that defines the performance of building telecommunications cabling as outlined by the Electronic Industries Association (EIA) standards.UTP cabling has become the cable structure of most companies because it was easier to install and less expensive. UTP CAT3 and CAT4 were used for a quite limited time since the emergence of 100Base-TX networks resulted in a quick change over to CAT5. The current increase of use of gigabit (1000Base-TX) Ethernet LANs created a need for another specification which is CAT6. CAT5e. CAT5e is now being superseded by CAT6 cable and there is a developing standard for CAT7. Xmultiple connectors are designed to work with the emerging CAT6 with most of our product line series. Listed below are specifications of the different CATx categories in use today.